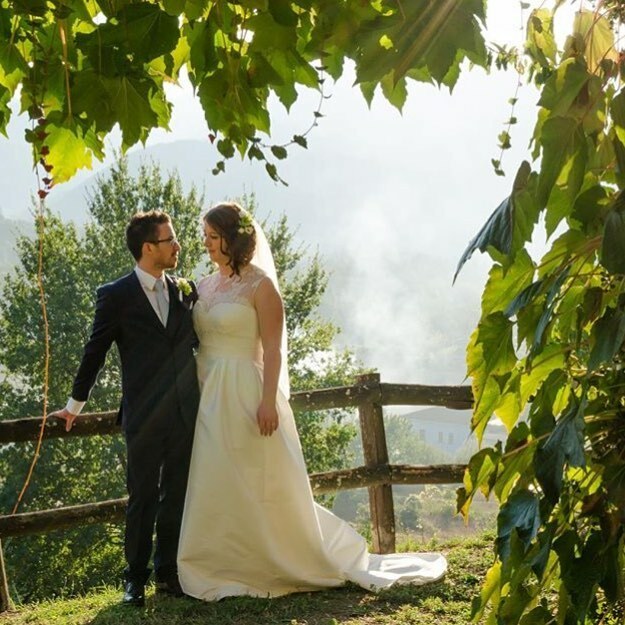 “We found Hitched in Italy searching on Google and certainly didn’t regret it! 8 months later we had the best day of our lives, and so many of our guests agreed our wedding was the best they’d ever been to. Kadeeya and I had lots of email exchanges with Lisa in the lead up to the wedding. She was really responsive and also available to catch up via Skype. It was great meeting her in person a couple of months before the wedding at our venue, I Cedri. She’s a warm, fun and friendly person, and made us feel very confident that everything would be planned perfectly. Lisa didn’t worry about checking on every detail, so we never felt stressed or hassled, and she was very decisive when we needed her to be. She has a great relationship with the venue owner and other local suppliers, including Isabella the translator who was also fantastic. As for the wedding day itself, Lisa was super organised, getting countless things sorted behind the scenes. Although we found our own photographer and musicians for the day, Lisa had loads of her own suggestion too and looked after our guys really well on the day. Lisa also found us a fabulous gelato cart for our wedding guests – it was a big success! We gave Lisa a rough description of the types of flowers and colours we wanted too and she absolutely nailed it! Our big day ran so smoothly thanks to all her hard work behind the scenes. She was a silent hero on the day and we’ll never forget all of her hard work that made our day so special.